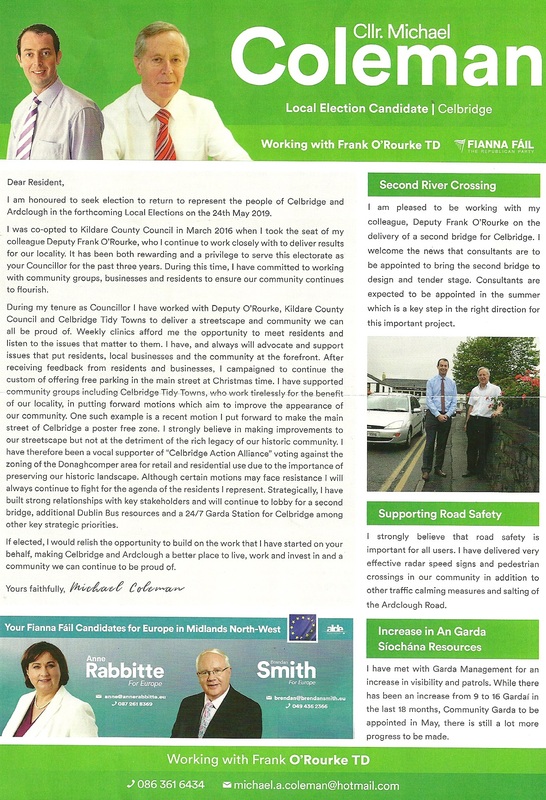 A new leaflet from Philip Slattery who is running for Fine Gael in Celbridge-Leixlip for a seat on Kildare County Council. 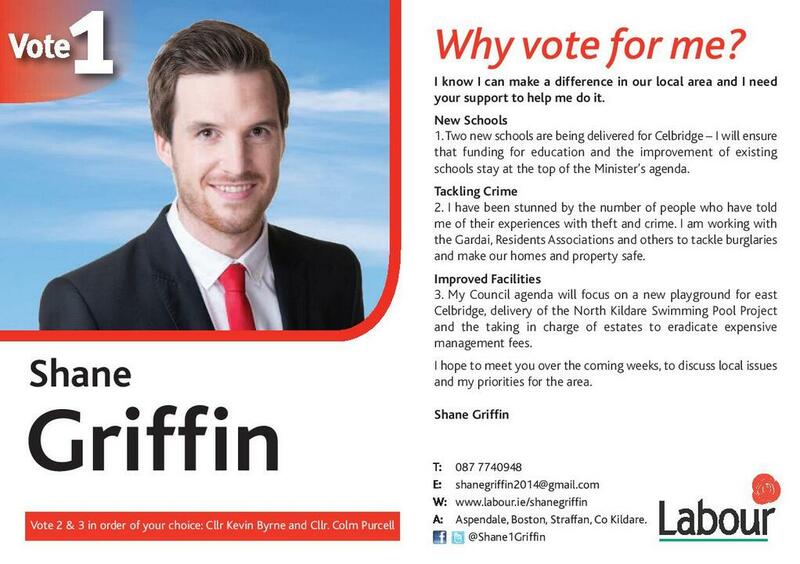 A flyer from Shane Griffin who is running for Labour in Celbridge for a seat on Kildare County Council. 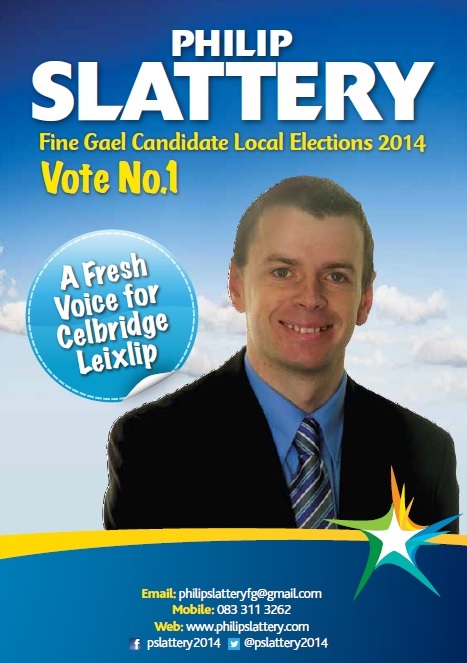 A leaflet from Philip Slattery who is running for Fine Gael in Celbridge-Leixlip for a seat on Kildare County Council. from the 1991 Local Elections for the Celbridge LEA “Maynooth Labour News” urging a number one vote for John McGinley. On the back it asks for a number 2 for Colm Purcell and a number 3 for Emmet Stagg. 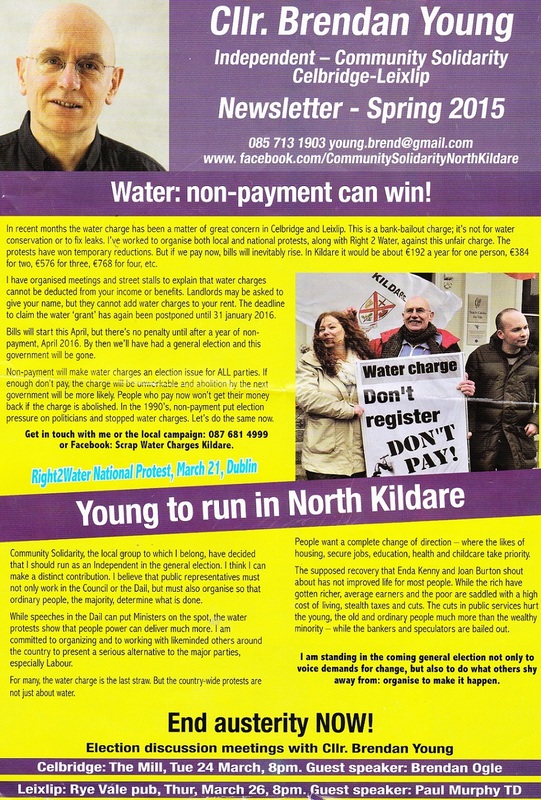 It has details of the ‘ROAR’ campaign (Repair our awful roads) , a picture of what was the public toilets in Maynooth and a few other local items. 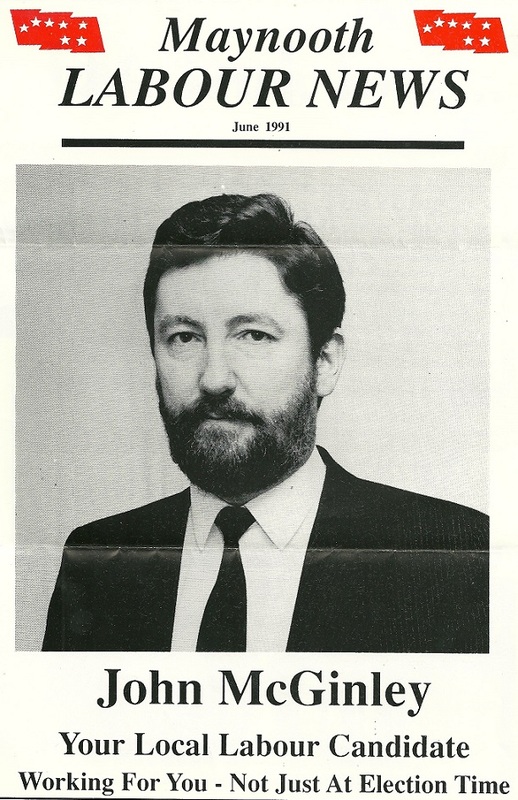 Stagg and Purcell were elected, although John McGinley was co-opted to the council in 1992 to replace Emmet Stagg.